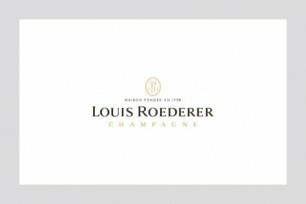 Champagne Louis Roederer is delighted to declare the Louis Roederer International Wine Writers’ Awards 2015 open for entries. The ‘Roederers’, now in their 11th year, have long been internationally recognised as the ultimate in accolades for wine writers in all countries, through all written and visual media. This year’s awards will be returning to the prestigious Royal Academy of Arts on London’s Piccadilly on 15th September for the Awards ceremony. The Roederer Awards pride themselves on attracting the finest wine communicators – not only in terms of entrants, but also as judges. This year’s panel is no exception with a fantastic team chaired by Charles Metcalfe. While wine can be enjoyed on its own, pairing it with food can so often create something greater than the sum of its parts. With this in mind, we are delighted to announce a new category – the Food & Wine Writer of the Year Award. True to the essence of the competition, for entries to be considered, the focus of the content must be balanced between wine its interaction with food. All articles must be written and published online or in print in English between April 1st 2014 and April 10th 2015. We are extremely grateful to our generous sponsors without whom these Awards would not be possible. This year we are delighted to welcome back Domaine Faiveley, Domaines Ott* and Ramos Pinto and also welcome Pio Cesare as a sponsor.